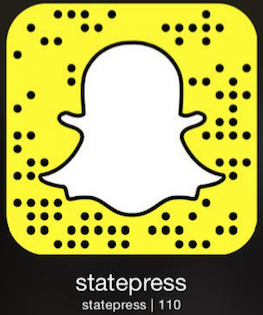 Welcome to the seventh installment of The State Press Politics Roundup, where we bring you the week's coverage of on-campus and local politics. This week, reporters broke down Arizona Attorney General Mark Brnovich’s lawsuit against the Arizona Board of Regents. They also spoke with DACA recipients who said the University is not doing enough to help their community. If you missed the last roundup, catch yourself up here. Undergraduate Student Government elections ended Thursday after a two-week campaign, drawing the lowest voter turnout across all four campus and among graduate students since 2010. The West, Polytechnic and Graduate and Professional Student Association elections were competitive, featuring two executive tickets, while the Sorgeloos ticket ran unopposed in Tempe. Below is the winning ticket of each election. Tempe: Allison Sorgeloos (president), Logan Miller (vice president of services) and John Gimenez (vice president of policy). Downtown: Aly Perkins (president), Laila Kabongi (vice president of services) and Angelica Cabral (vice president of policy). West: Alexander Haw (president), Melany Hernandez (vice president of services) and James Benado Smasch (vice president of policy). Polytechnic: Daniel Pasco (president), Aki Olambiwonnu (vice president of services) and Robert Roxy (vice president of policy). Graduate and Professional Student Association: Michelle Sullivan Govani (president), Sarah Geren (vice president of external affairs), Alyssa Sherry (vice president of internal affairs) and Amelia Miholca (vice president of professional development). Arizona Attorney General Mark Brnovich said he feels like “Luke Skywalker against the Death Star” in his suit against the Arizona Board of Regents — but it remains unclear who his Han Solo is. Brnovich alleges ABOR charges too much for tuition, while they say he has no legal basis to challenge their tuition-setting formula. Read more here. The future of the Deferred Action for Childhood Arrivals program remains more uncertain than ever. ASU has offered services to help aid students shielded by the program, but some DACA students say not enough is being done. Read more here. The Arizona Board of Regents hosts a tuition hearing to listen to student feedback on tuition prices in Tempe, Arizona, on Tuesday, March 27, 2018. ABOR President Eileen Klein announced Monday that she will leave the board, leaving behind a five-year legacy. University officials and students offered their thoughts on Klein's legacy. Read more here. As young progressive activists took to the street on March 24 advocating for gun reform, Judah Waxelbaum is going against the political grain and advocating for conservative solutions on the issue. Waxelbaum said both sides must come together and find a compromise, rather than clinging to partisan talking points. Read more here. "The Inside-Out exchange program teaches both students and inmates." Illustration published on Monday, March 26, 2018. Once a week, students travel to the Arizona State Prison Complex in Florence to teach prisoners courses revolving around crime, justice and victimization. The program is a part of a national exchange program that aims to broaden the perspectives of students and the prisoners. Read more here. Reach the reporter at Anicla@asu.edu or follow @AndrewNicla on Twitter.